Here are three of us, hard at work. We’re … doing research. Yeah, that’s the ticket. 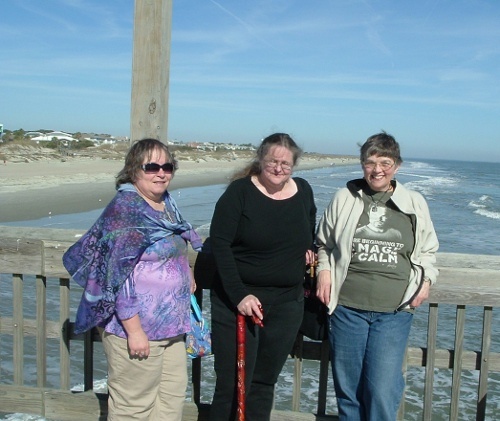 Seriously, the Southern Indiana Writers were among the writers granted a free week in one of the Mermaid Cottages on Tybee Island, Georgia. In return, we’re each to submit a story featuring the island and, if possible, the cottage where we’re staying. That’s all for now. We need to get back to eating drinking socializing working.